Diagram showing cascading flow patterns of overland flow among hydrologic response units (HRUs) and streams delineated from A, topography intersected by elevation bands and from B, a rectangular grid. 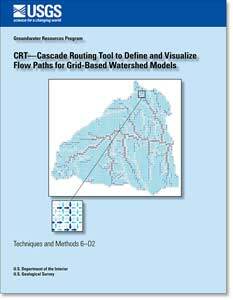 The U.S. Geological Survey Cascade Routing Tool (CRT) is a computer application for watershed models that include the coupled Groundwater and Surface-water FLOW model GSFLOW and the Precipitation-Runoff Modeling System (PRMS). CRT generates output to define cascading surface and shallow subsurface flow paths for grid-based model domains. CRT also includes an option to condition the grid-scale DEM to fill unintended swales and to provide continuous down-sloping HRUs that follow streams. CRT requires a land-surface elevation for each hydrologic response unit (HRU) of the model grid; these elevations can be derived from a Digital Elevation Model (DEM) raster data set of the area that contains the model domain. Additionally, a list is required of the HRUs that contain streams, swales, lakes, and other cascade termination features along with indices that uniquely define these features. Cascade flow paths are determined from the altitudes of each HRU. Cascade paths can occur across any of the four faces of an HRU, to a stream, or to a lake within or adjacent to an HRU. Cascades can terminate at a stream, lake, or HRU that has been designated as a watershed outflow location. A Readme.txt [11KB TXT] file containing installation instructions is included with the Microsoft Windows software distribution file. Henson, W.R, Medina, R.L., Mayers, C.J., Niswonger, R.G., and Regan, R.S., 2013, CRT -- Cascade Routing Tool to define and visualize flow paths for grid-based watershed models: U.S. Geological Survey Techniques and Methods 6-D2, 28 p.
Albano, C.M., Dettinger, M.D., McCarthy, M.I., Welborn, T.L., and Cox, D.A., 2015, Use of a hypothetical winter-storm disaster scenario to identify vulnerabilities, mitigation options, and science needs in the greater Lake Tahoe, Reno, and Carson City region, USA: Natural Hazards, vol 79, 22 p., http://dx.doi.org/10.1007/s11069-015-2003-4. 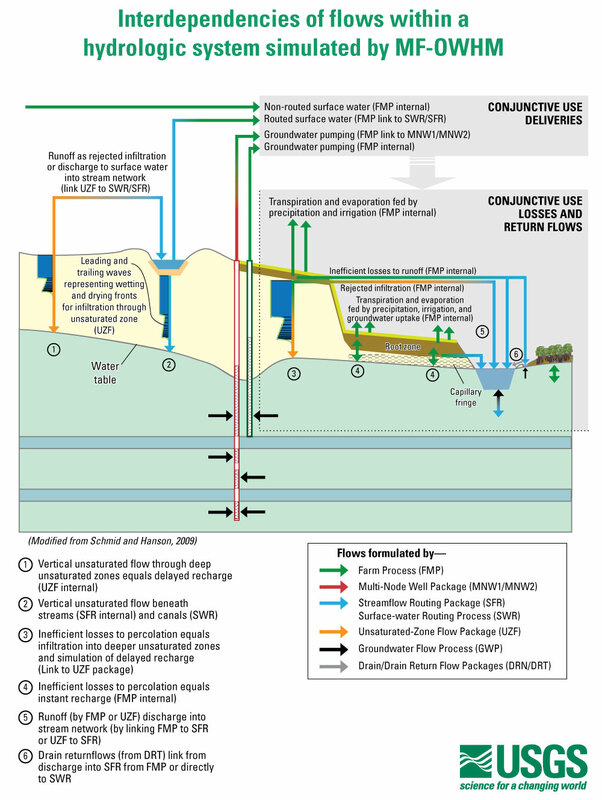 Allander, K.K., Niswonger, R.N., and Jeton, A.E., 2014, Simulation of the Lower Walker River Basin hydrologic system, west-central Nevada, Using PRMS and MODFLOW models: U.S. Geological Survey Scientific Investigations Report 2014-5190, 93 p., http://dx.doi.org/10.3133/sir20145190. Ely, D.M., and Kahle, S.C., 2012, Simulation of groundwater and surface-water resources and evaluation of water-management alternatives for the Chamokane Creek basin, Stevens County, Washington: U.S. Geological Survey Scientific Investigations Report 2012-5224, 74 p.
Essaid, H.I., and Hill, B.R., 2014, Watershed-scale modeling of streamflow change in incised montane meadows: Water Resources Research, vol. 50, pp. 2657-2678, doi:10.1002/2013WR014420. Huntington, J.L., and Niswonger, R.G., 2012, Role of surface-water and groundwater interactions on projected summertime streamflow in snow dominated regions: An integrated modeling approach: Water Resources Research, vol. 48, W11524, doi: 10.1029/2012WR012319. 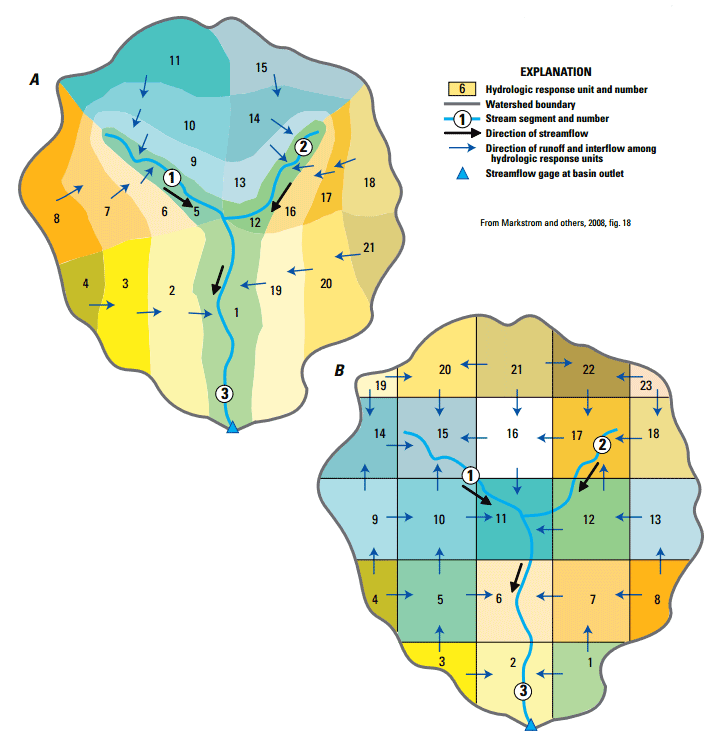 Niswonger, R.G., Allander, K.K., and Jeton, A.E., 2014, Collaborative modelling and integrated decision support system analysis of a developed terminal lake basin: Journal of Hydrology, http://dx.doi.org/10.1016/j.jhydrol.2014.05.043.